Have an interest in tech gear and rum? You're in luck! 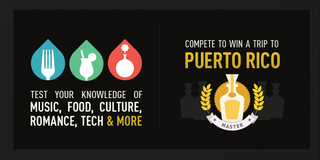 Take our tech quiz below and compete in DonQ's Master of All Skills for the opportunity to win a trip to PR to learn the art of rum-making.